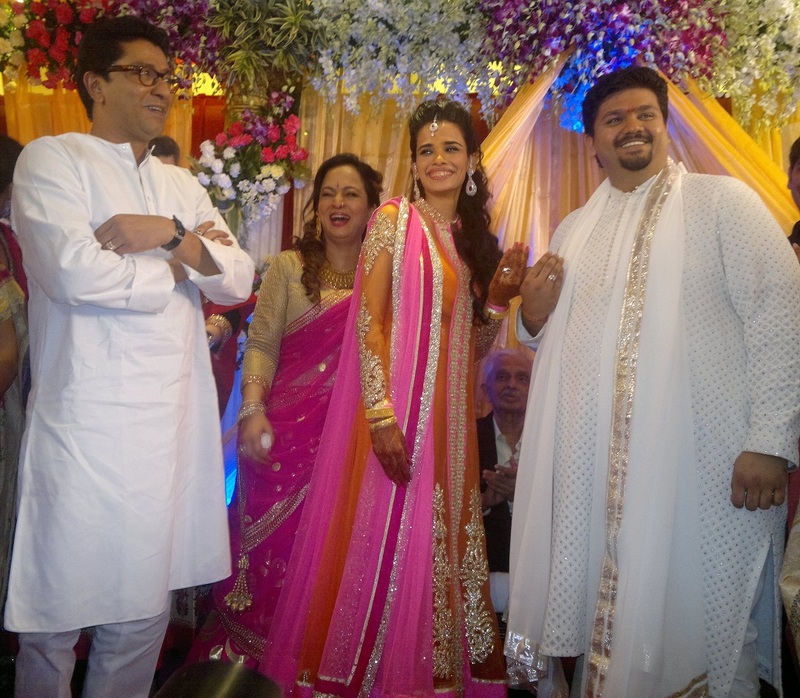 Uncle Raj Thackeray was there to be part of the ceremonial rituals. Other than Raj Thackeray and family, Arjun Rampal with wife Mehr Jessia, Raza Murad with wife Shahrukh, Harinder Singh, Reshma Shetty, actor Rajvir Dutt, director Rajkumar Hirani, sufi singer Mudasir Ali, Sonu Nigaam, Mana Shetty, Vickey Tejwani among others, graced the occasion. 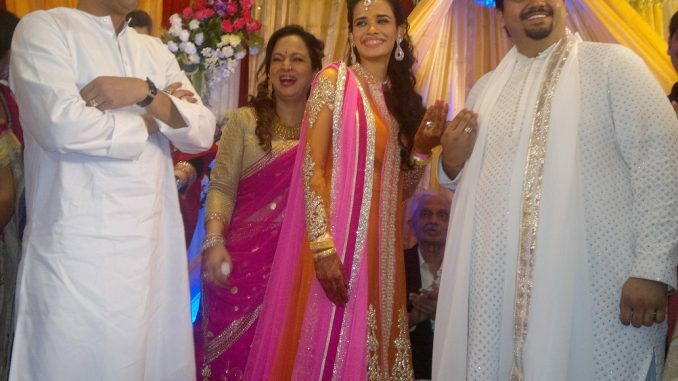 Smita Thackeray looking radiant in a pink ghagra choli played the perfect host.